Wow...I haven't posted in a week *gasp* I promise vacation is almost over and I will be back to posting and answering emails and visiting in the next day or two. Okay, on to the reason we're here. 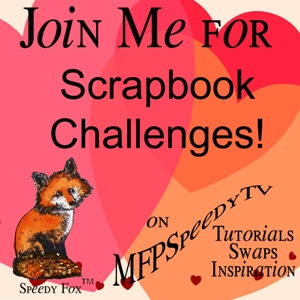 It's time for another Mark's Finest Papers Scrapbook Challenge! This week, the challenge is to use flowers somewhere on your layout. 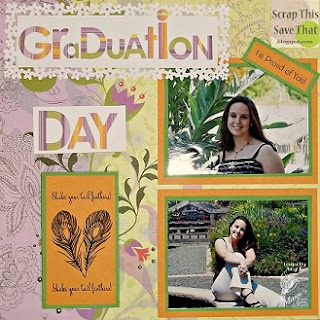 I decided to do a double page layout of the day my daughter graduated from her department with her B.A. in Women Studies from the University of Washington. Was I a proud Mommy? Oh yeah!! She was only 20 years old, which made it even more special for us! 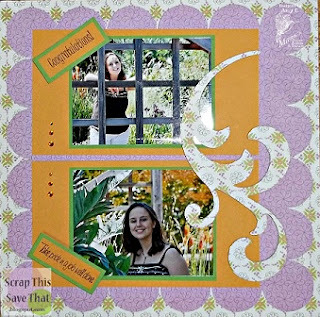 I used some old MAMBI papers from my stash along with some solid cardstock for matting the photos and stamped imaged and sentiments. 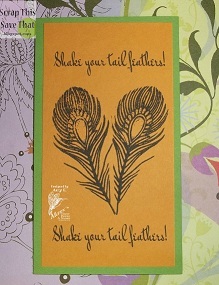 The papers were part of a kit that also included some chipboard flourishes, so I so I chose one to cover with coordinating cardstock and then trimmed it with an Exacto knife. NOT as easy as I envisioned! After a lot of eye-rolling, cussing, and sanding, I finally got it where I was happy with it. I'm not gonna lie though...NOT one of my favorite techniques to do!! I used four different sentiments and an image from the Be A Showoff set from mark's Finest Papers. This set has some beautiful peacock images on it like the one I used in last week's project. Please consider linking up with us this week at the Mark's Finest Paper ning site. Make a scrapbook page using flowers and stamps anywhere on the layout. 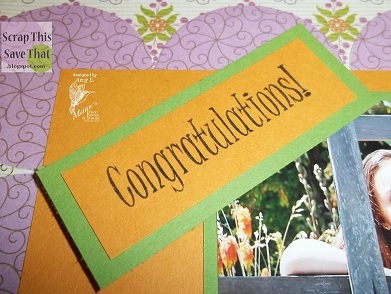 You can use any stamps you want, but if you use MFP stamps, you get double entries for the prize! You have until next Wednesday, May 1st at 5 pm (PST) to join in. See you there! !